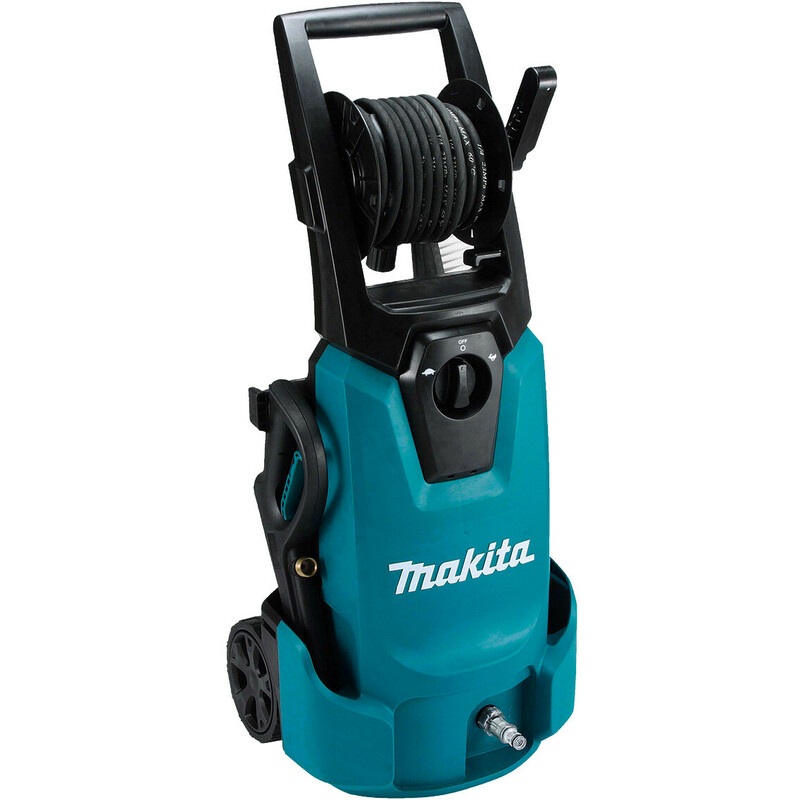 Makita HW1300 Electric Power Washer 240v 1.8kW. Self priming function: Water can be supplied not only from faucet but also from water storage in a bucket using self suction hose set. Max water temperature of 40°C. Makita offer a 12 month warranty on their Power Tool Products (Terms & Conditions). The warranty may be extended to 3 years if, and only if, the product is registered online within 30 days of purchase (Terms & Conditions). To claim against a Makita warranty a copy of your original purchase invoice will be required. For the quickest service, you may return your faulty machine directly to Makita (UK) Ltd, Service Care, Michigan Drive, Tongwell, Milton Keynes MK15 8JD . Alternatively, you may take the faulty machine to your nearest Makita Service Agent. You may also return your machine to us and we will send it on to Makita on your behalf, and return it back to you once we have received back from Makita. In addition to your original purchase invoice, you will also require the extended warranty certificate you received when you registered your MFN for an extended warranty. You must return the faulty machine directly to Makita (UK) Ltd, Service Care, Michigan Drive, Tongwell, Milton Keynes MK15 8JD with your original purchase invoice and extended warranty certificate. Claims under the 3 Year Extended Warranty must not be returned to us or any of Makita's service agents.